The construction of the Blue Residences Condominium Resort, located along Eagle Beach and close to the Bubali Bird Sanctuary, has been completed. The resort now consists of three towers called the Aquamarine, the Indigo and the most recent finished Turquoise tower. In total, the accommodation currently offers 124 spacious apartment suites, ranging in size from one to five bedrooms with fully equipped kitchens, all with a spectacular ocean view balcony or terrace. Deluxe hotel rooms (without a kitchen) are available as well. The resort also recently opened its full-service health spa called the Intermezzo Day Spa. More and more the property’s restaurant called The Kitchen Table by White Modern Cuisine is being appreciated by an increasing number of visitors. The restaurant opened its doors on August 1st 2015. 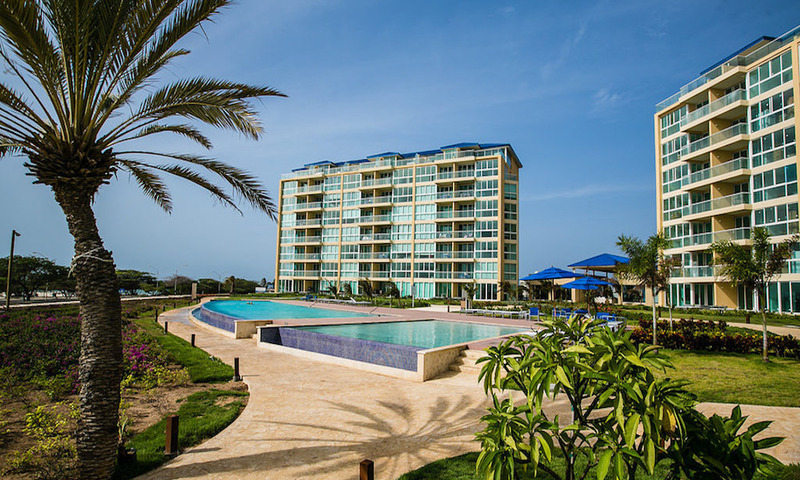 The Bleu Residences Condominium Resort further offers an infinity pool and a tropical pool deck, a 24/7 Fitness Room, a Mini Market and Deli, a Rental Car desk, a Concierge Desk and Food and Beverages amenities.